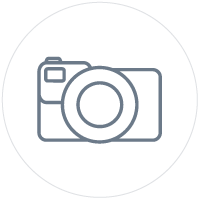 Emily and Nicholas were approached by SMR Legal to design and develop a new website including photography and SEO (search engine optimisation) services. SMR Legal already had a strong brand so it was effortlessly transferred into the website design. 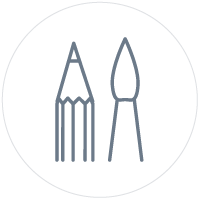 The design is simple yet descriptive allowing the user to easily navigate through the pages and content. Emily developed a custom WordPress theme from scratch for the SMR Legal website. 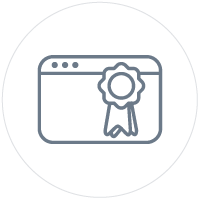 This allows the team at SMR Legal to update the content of their website at any time without having to deal with any code. The SMR Legal website has been fully optimised for SEO based on their specific keywords. 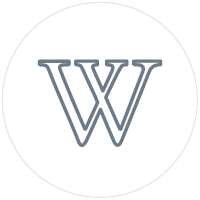 All images, content and the complete structure of the website has been optimised for best SEO practices. 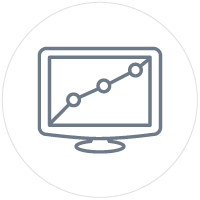 Nicholas also provides monthly analytics reporting ensuring that the SMR Legal website is always at the top of its game. Emily provided WordPress training to the SMR Legal team to ensure they could confidently updated and maintain the website. Nicholas was responsible for photographing the SMR Legal team and premises. He traveled to Shepparton and brought each team member to a different location to capture the essence of the town. 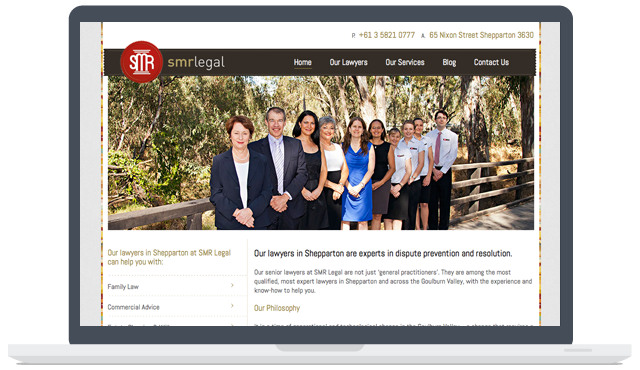 SMR Legal are a law firm based in Shepparton, Australia.